What to pack on a long backpacking trip is a tough question. Most people think they will need to bring everything they could possibly need while away. As if there is no way anything is available overseas. WRONG. We can’t speak for the whole of the world, but for the countries we’ve been to, practically everything you would want/need is obtainable. 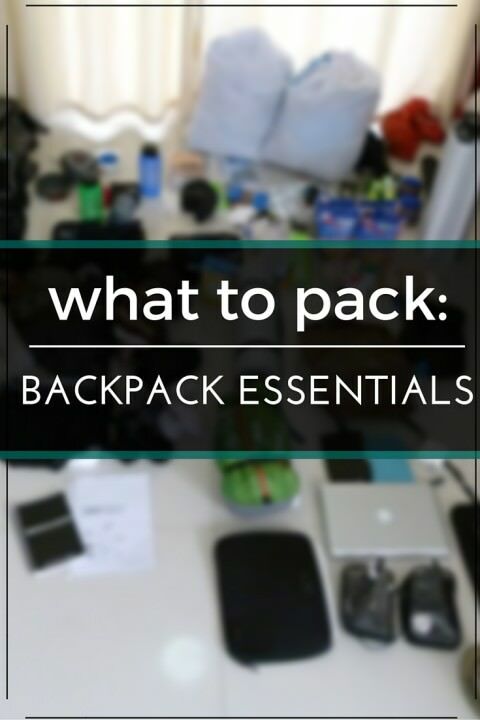 Pack what you will need for the majority of your trip. For example, if you are going trekking in Nepal about 8 months into your trip, don’t pack a sleeping bag and lug it around the world for no reason. Buy it when you get there. 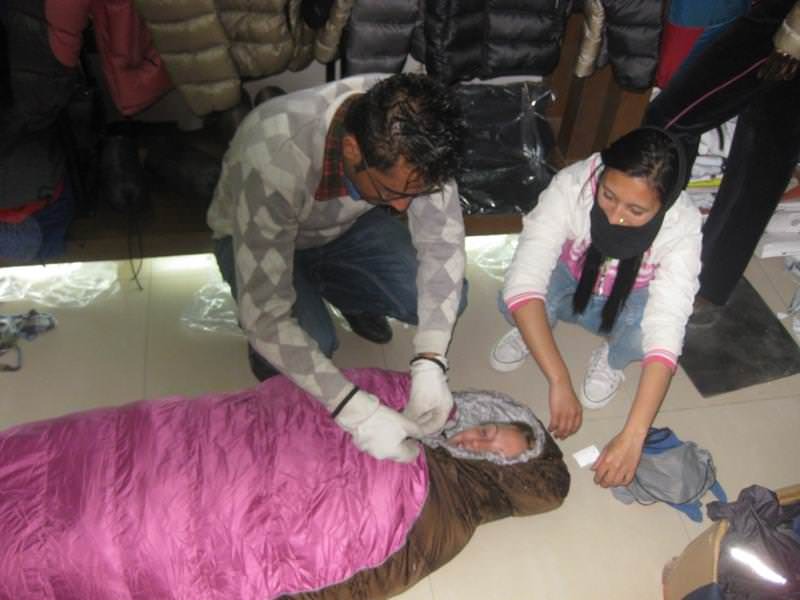 Dariece trying on a sleeping bag in Kathmandu, Nepal. Buy a sleeping bag when you get there, don’t lug it around the world. The same goes for guidebooks. Get the ones that you need for the first couple of countries, but then just buy them as you go. They may not be original copies, they may cost a bit more than at home, but trust us…you won’t want the extra weight in your backpack. A good rule of thumb is the old backpacker’s proverb: “Pack everything you think you’ll need, then reduce it by half.” If you’re travelling to warm countries only, then you should be able to get by with a backpack as small as 35L. 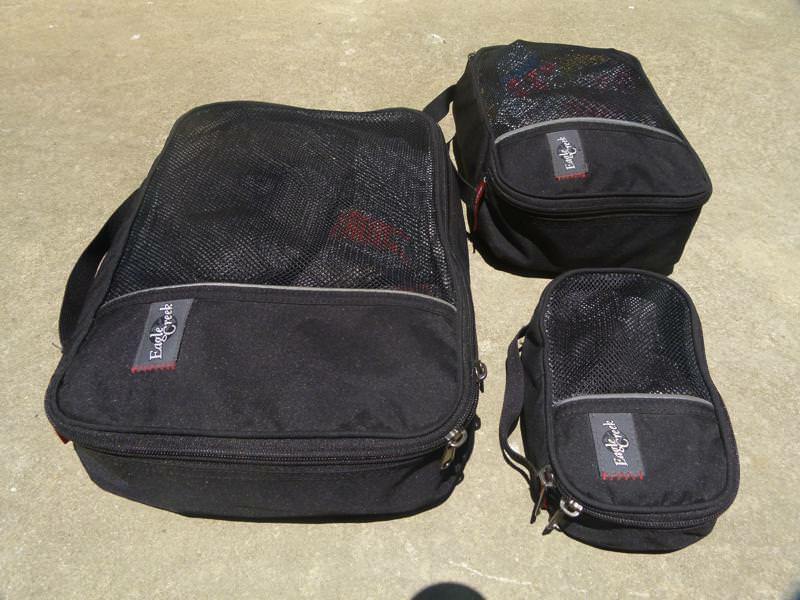 It’s the cold climates that will start to fill your bag quickly. We’re not going to list all the basic things we have packed, but we are going to list the more interesting/not thought of/must haves. Some things you will buy from home before departing on your journey and some you will buy while enroute. We’ve split the list accordingly. Fast-drying, anti-microbial travel towel: Most guesthouses don’t provide towels and you want one that will dry fast and rolls up small. Fast-drying, anti-microbial, moisture wicking outerwear: It may cost a bit more, but this stuff is a life saver. All of Nick’s underwear and socks, as well as most of his shirts are made from this meshy material meaning he can do laundry at night and wear it the next morning. 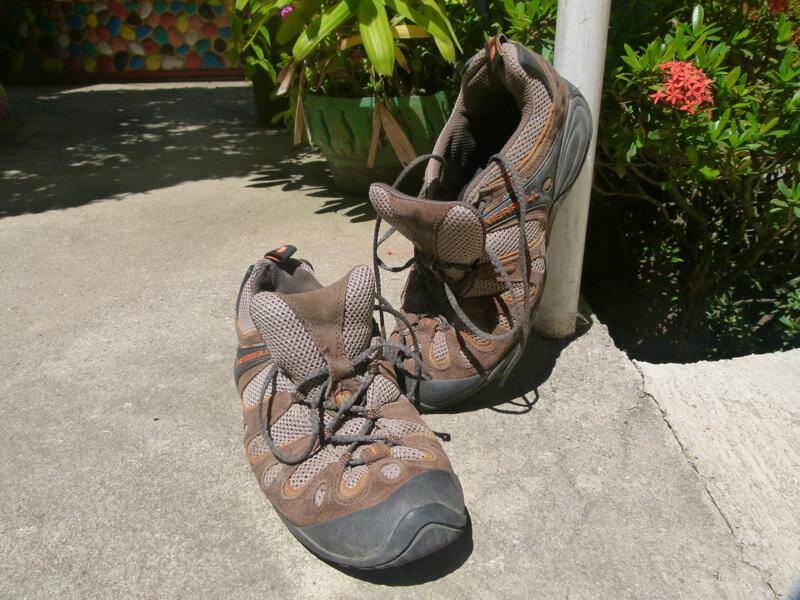 A good pair of hiking/walking shoes: Even if you’re only going on a beach holiday, it’s likely you’ll find yourself going on a jungle trek, walking to a waterfall, etc. You’ll be happy to have a solid pair of shoes rather than some flimsy sandals. Packing Cubes/Squares: These are indispensable. These zip-up cubes of varying sizes allow you to categorize your clothing (ie: pants, tops, warm clothes, etc.) Also, they are great for condensing all of your items into tightly packed squares. The result? More room in a your well-organized backpack. Bed Sheets & Pillow Cases: If you’re a couple, bring a queen sized sheet each. One for over the mattress and one for over you. Single travellers can get by with one, or with a thin sleeping bag liner. You’ll be surprised at how many hotels and budget guesthouses don’t offer any sheets, and if they do, they’re often stained with God knows what. Bring your own! EAR PLUGS: We would never travel without them. For all the nights spent sleeping in hotels next to mosques. For all the times when your drunken neighbour looses his/her key and is banging on the door. For all the overnight train and bus rides when the locals won’t stop talking or they blare their terribly distorted cell phone music right next to you. When the roosters are waking you up at 5 am or the stray dogs are barking all night for no apparent reason. Bring EAR PLUGS! Head Lamp: For all the power outages and dimly lit walks back to your room or for reading while others are trying to sleep. Head lamps often come in handy. Duct Tape: This stuff has limitless uses. Mainly for mosquito nets with holes in them, broken windows, patching bags, fixing broken sunglasses etc. Small Pair of Scissors: You may need to cut your duct tape. Super Glue: You could probably wait to buy this until something breaks, but it’s often useful. Pens: You’ll need spare pens for all the Arrival and Departure Cards you’ll be filling out at airports. Lighter: Even if you don’t smoke, you’ll need to light mozzy coils during mosquito hour and candles during a power outage. Swiss Army Knife: It doesn’t need to be Swiss but it needs to have handy tools like a screwdriver and corkscrew. A magnifying glass could come in handy if you are lost and need fire. Rope/String: You’ll need to hang your hammock, mosquito net and laundry. Hand Sanitizer: Many times there’s no soap in bathrooms and if you’re holding onto a hand rail on an Indian train, you’ll probably want the most powerful sanitizer you can find. Combination Locks: Small ones for each of the zippers on your backpack and also a large combination padlock, either used for locking the door of your room, or locking your bag to the seat of the bus/train (for overnight journeys). First Aid kit. Click HERE for a detailed list of items in your kit. Lap Top: Useful for so many reasons, the modern-day backpacker almost always carries one. External Hard Drive: Ours is a 1TB Omega portable. About the size of a 5 stacked passports this little thing is packed with hundreds of movies, tv shows, music, comedians and backed up pictures and videos from our trip. Make sure you get a protective case and NEVER drop it, These things are fragile. For downloading torrents get BITTORRENT and go to www.thepiratebay.org. MP3 Player: Everyone needs an Ipod or similar nowadays. Camera: See PICKING A CAMERA for more info on which camera may suit you. We carry a Panasonic Lumix FZ100 Super Zoom Digital Camera as well as a small Cannon Point & Shoot. Ipod Dock: A small portable set of speakers are nice for nights listening to music and chillin’ in your hammock. Also great for watching movies. There’s a great debate over whether or not a tent is an essential backpack item. For us, travelling through Africa, The Middle East, Europe, and Asia, the extra weight and expense just wasn’t worth it. There was only a few times in Africa when it would have come in handy and there’s no denying that tents are heavy. If you think you’ll need one, consider buying, or renting one when you need it. A large mosquito net (for travel to Africa and SE Asia). Lightweight, down filled, -10 degree sleeping bag (for high-altitude trekking and travel in cold climates). Any article of clothing you need, if you didn’t buy it home, it’s probably cheaper overseas. Sandals/flip-flops/thongs: Usually a couple bucks a pair you’ll probably buy many pairs on a long trip.